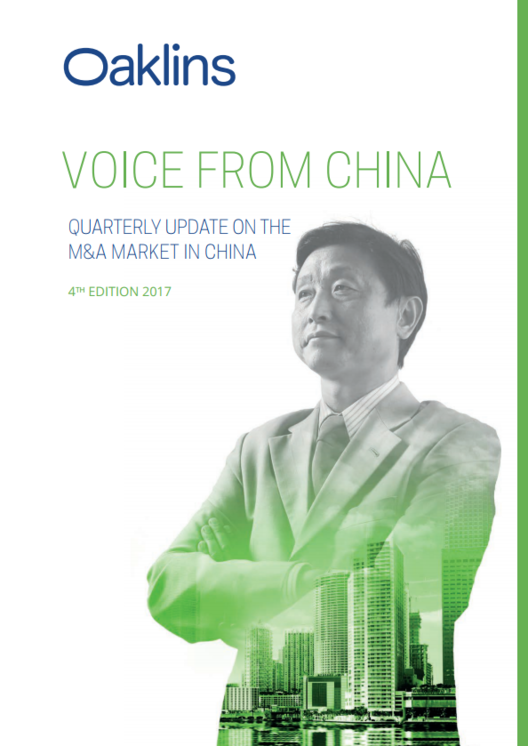 QUARTERLY UPDATE ON THE M&A MARKET IN CHINA – Chinese cross-border M&A activity dropped in 2017. This decline can be interpreted as a turn towards rationality for the Chinese M&A market, induced by a series of government policies to regulate and guide foreign investment. On the bright side, the new rules, released this past quarter by the National Development and Reform Commission (NDRC), eased the reporting requirements for outbound investments worth over US$300 million. It is widely believed that this will not only enhance the efficiency of cross-border transactions, but also greatly reduce the uncertainties and risks associated with obtaining regulatory approval from the Chinese government.